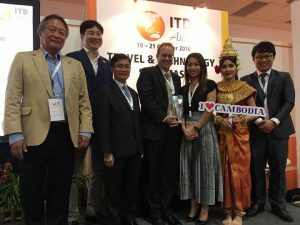 Accepting the award together with Jens Thraenhart (centre), Executive Director of the Mekong Tourism Coordinating Office: Mr Saly Phimphinith (third from left), Director General of Tourism Marketing of the Ministry of Information, Culture and Tourism of Lao PDR; and Ms Lyna So (third from right), Deputy Director of Marketing of the Ministry of Tourism of Cambodia. 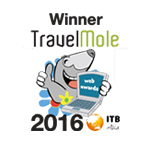 MekongTourism.org has won the Responsible Tourism Website category of the 9th Travelmole – ITB Asia Awards. 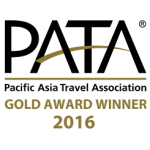 The 9th TravelMole – ITB Asia Awards 2016 recognises the best web, social, mobile and travel technology deployments in the Asia Pacific travel & tourism industry. The award ceremony took place October 20 at ITB Asia in Singapore. This is the third industry award the website has received since its launch in 2015. 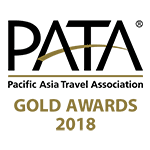 At the Pacific Asia Travel Association (PATA) Travel Mart 2016 in Indonesia, MekongTourism.org won a PATA Gold Award in the website category. 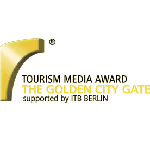 A judging panel of travel & tourism professionals endorsed the website for its positive contributions to responsible tourism in the Greater Mekong Subregion (GMS). 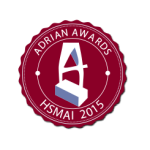 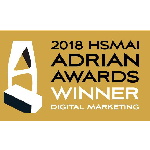 In 2015, the Hospitality Sales & Marketing Association International (HSMAI) presented MTCO with an Adrian Award for innovative website design and cutting-edge marketing practices.